Maybe you’re an individual who just likes it to be quiet while you’re doing work in the office. Or if you’re like most of us, you just don’t want to hear your neighbors’ music at 4 a.m. Whether you live near a noisy area or you simply find that your room retains sound even when you’re not the one creating it, it may be time to begin soundproofing. You want to keep silence in and noise out. You’re not asking much. Don’t wait for a shooting star or a magic genie to grant you your noise reduction wishes. Our line of soundproofing materials is available to you in one affordable quality-insured product — no magic necessary. 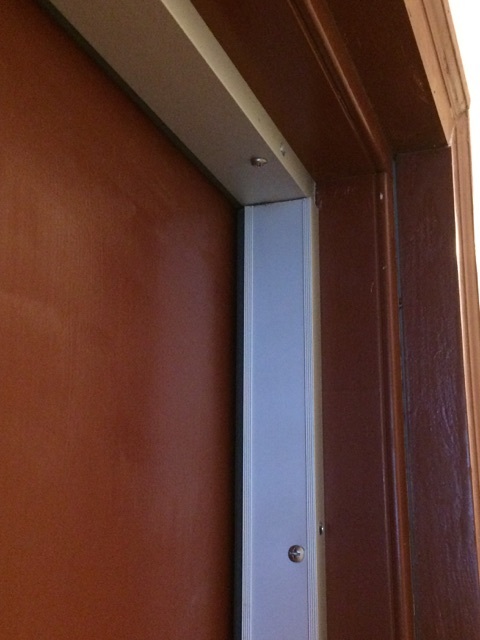 Our line of soundproof door perimeter seals is engineered to take care of all of your noise and reverberation-related issues by ensuring both sound and vibration reduction. 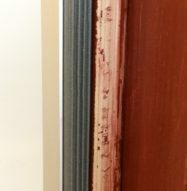 Quiet Door Perimeter Seals works by reducing and preventing sound from transferring through your doors by ensuring no noise seeps through crevices or corners. Simply place your soundproof material around a door and wait for the sweet sound of silence to ensue. Not every door will fit the same. 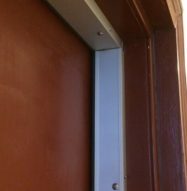 What makes our line of soundproof door perimeter seals so ideal is their ability to fit snug and tight against any corner, seal or frame. With astonishing soundproofing capability, endurance and strength, your room will stay soundproofed without the added hassle of a worn down product that fails to deliver over time. At Soundproof Cow, we value providing our customers with the soundproofing accessories they need. Whether you’re seeking materials engineered to perform and last or need a simple do-it-yourself product that produces silence and serenity, we have a varied selection of materials crafted to meet your needs. Contact us today. 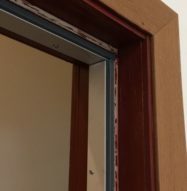 Quiet Door™ Perimeter Seals reduce sound transfer through doors by forming a tight fit around the perimeter of new doors with cheap seals, or existing doors, with old worn-out seals. These seals can be used on wood and metal doors. 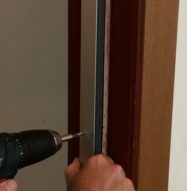 Quiet Door™ Perimeter Seals are made of heavy duty aluminum framing, long lasting silicone or neoprene seals and include all stainless steel hardware. 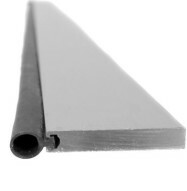 The soundproofing capability of the Quiet Door™ Perimeter Seals last due to the seal quality. Silicone is durable, long lasting seal material and has superior acoustic performance. Silicone seals remain flexible in a variety of temperatures and resist tears better than the less durable, widely available vinyl and foam seals. Quiet Door™ Perimeter Seals can be adjusted to keep fit snug. 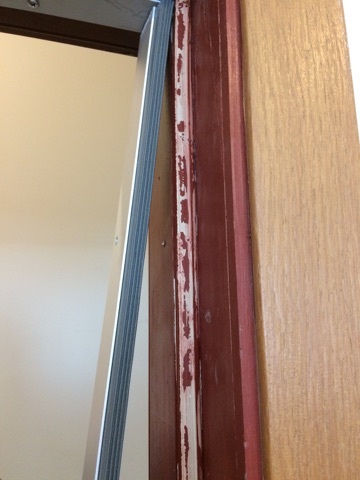 As the seal material wears, loosen the mounting screws and reestablish the fit against the door. Our Quiet Door™ Perimeter Seals will decrease air flow, increasing the thermal performance of any door. Special Order Sizes/Colors are available. Acoustically Tested — Quiet Door™ Perimeter Seals are tested for acoustic performance by independent laboratories. Quality – Quiet Door™ Perimeter Seals are manufactured with high quality aluminum framing and have durable, long lasting Silicone seals. All included mounting hardware is made of stainless steel. These products are considered industrial grade. Longevity — Due to the high quality Silicone seal, the noise reduction performance will last longer than other vinyl and foams seals available on the market. 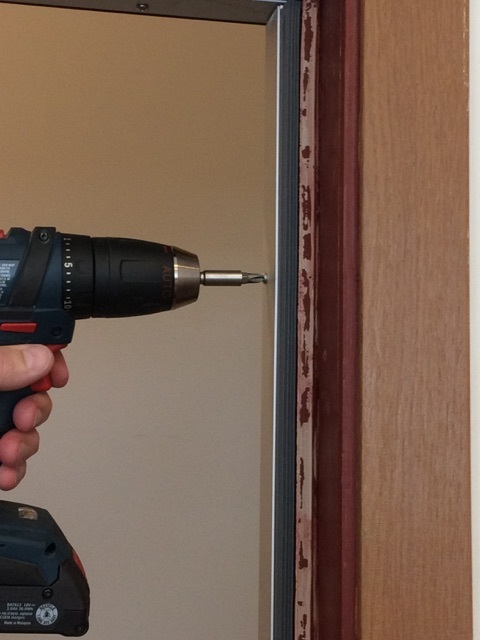 Ease of Installation — Quiet Door™ Perimeter Seals install easily and only require a drill / drill bits , for pre-drilling, and few basic hand tools. Instructions are included in the packaging. 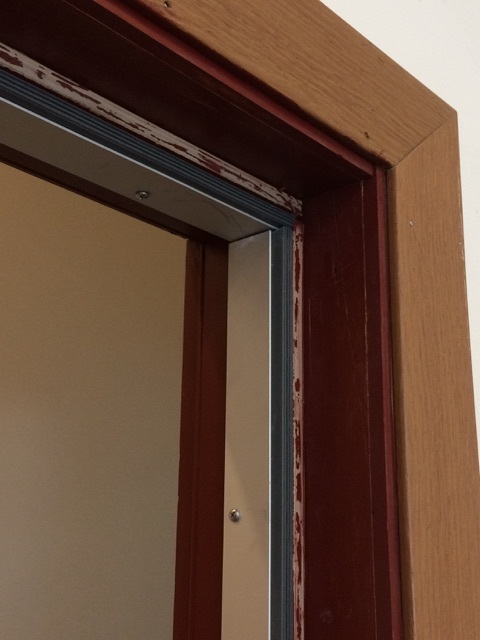 Energy Saving Quiet Door™ Perimeter Seals not only improve the soundproofing performance of common doors, but they also improve the thermal capabilities by reducing airflow transfer. Variety — Quiet Door™ Perimeter Seals are sold in packages that treat a standard 36 in. x 86 in. door. 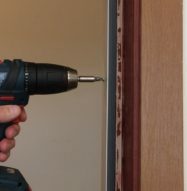 For doors smaller simply trim the material to fit, please see Cautions and Limitations. (link to “Cautions and Limitations” section below) For larger doors we will custom build to your door. For over-sized door applications, please contact our Acoustic Consultants for information. 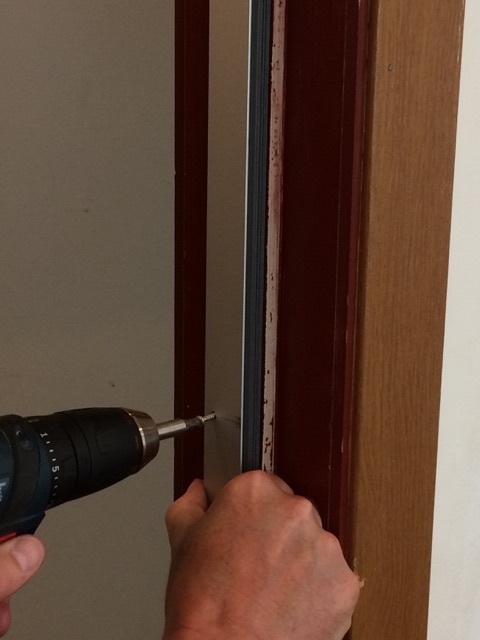 Soundproofing seals and sweeps are tested with operational doors. Operational meaning they open and close like a door should. Then, a separate test is completed on a “static door”, a door that is non operational. The static door will have a higher Sound Transmission Class (STC) number due to the lack of air gaps. When a door is hung the soundproofing performance plummets because of the additional air spaces. Compare the static door rating to the operational door rating. The smaller the difference in STC rating, the better the perimeter seals and sweeps will reduce noise transfer. All of our Quiet Door™ Soundproofing products were tested as assemblies and not single products. 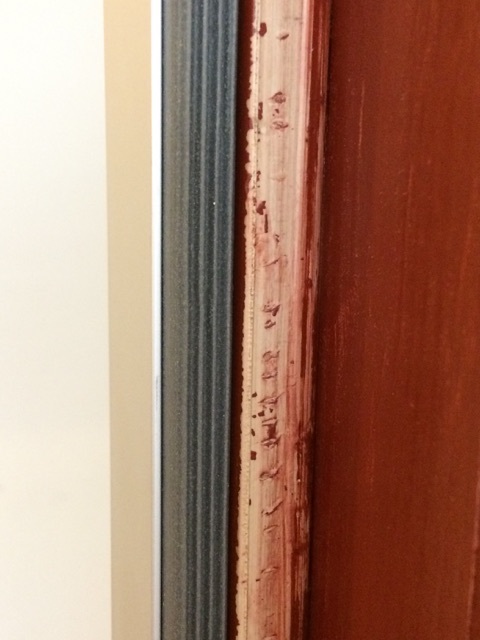 Our tests included perimeter seals, doors sweeps and thresholds. For help in choosing an assembly or single product for your situation, please give our friendly consultants a call at 1-866-949-9269. ACOUSTICAL TESTED — to ASTM E90 and ASTM E413, by Riverbank Acoustical Laboratories in Geneva, IL. 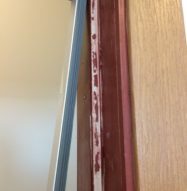 AIR INFILTRATION TESTED — to ASTM E283, Standard Test Method for Determining Rate of Air Leakage Through Exterior Windows, Curtain Walls, and Doors. ANSI/BHMA CERTIFIED — Certified gasketing complies with A156.22-2005, and is listed in the BHMA Certified Products Directory. The Quiet Door™ line of perimeter seals and sweeps can be used on almost any door to reduce sound transfer and they can be used on almost any door type. 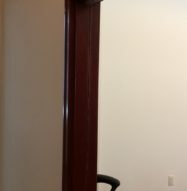 Some older doors may not have enough mounting area. Please double check all measurements and dimensions. 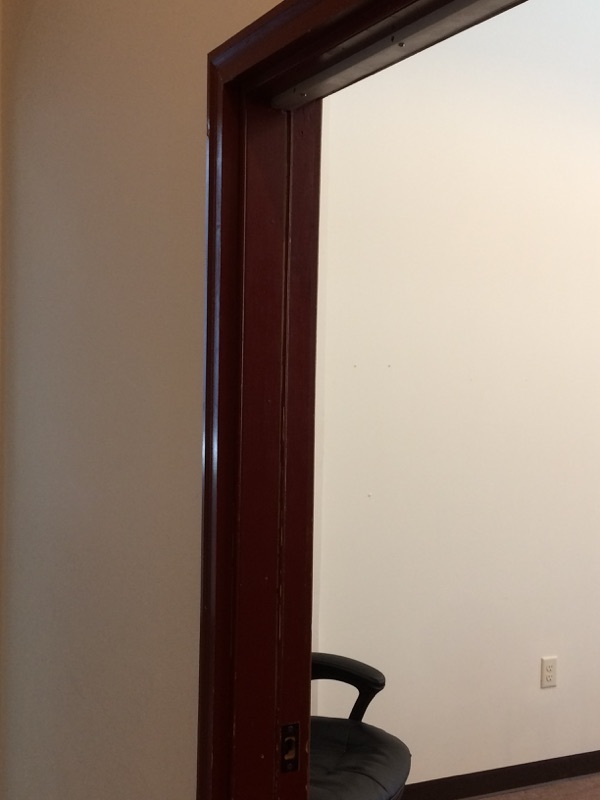 For doors with overhead closers, install seals before the closer. Seals installed at head will require the closer body be installed 1/4” lower on the door. The Quiet Door™ line of perimeter seals and sweeps may need to be trimmed to fit. When trimming our Adjustable or Automatic products, care should be taken to not cut internal mechanisms that could impact the functionality of the product. I can’t complain when things are cheap and work really well. I would use this again in an instant. I wasn’t looking to spend a whole lot of money for my apartment door, so I saw you guys had two types of seals, the adjustable one and the one that I bought. What a good bargain, it works great.